June | 2011 | .another part of me. 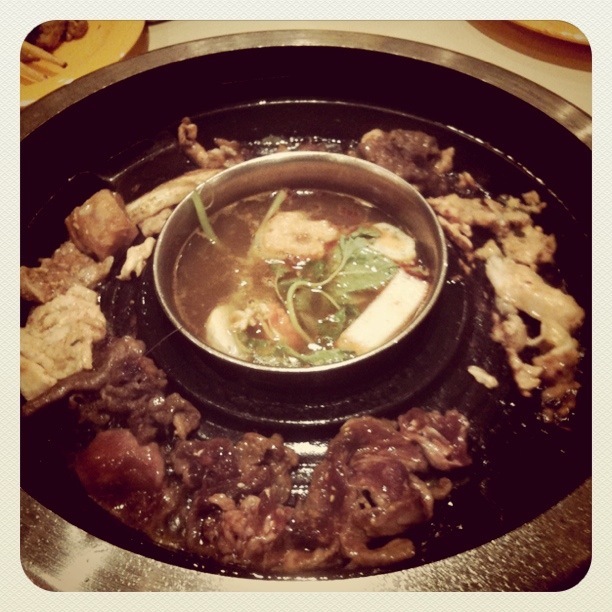 went to seoul garden ou last weekend with yani and sitot coz aku dah mengidam kalah jenjen yg pregnant 5 bln haha. pick them up at lrt kj and then zass to ou. carik parking cam giler akhirnye dpt jgk dgn bantuan abg jage parking haha. 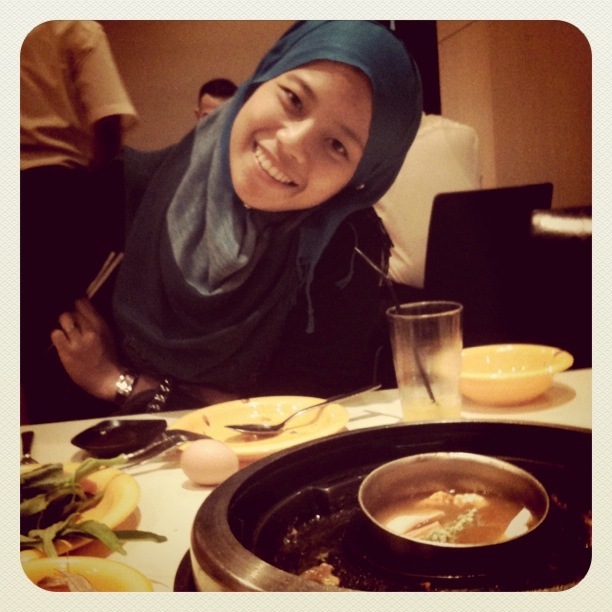 then teros carik seoul garden yg ropenye dh tuka tmpt. ropenye sume tmpt mkn dh gi lg floor camtu ek lol i’m so noob bape kurun x pegi ou weh. sampai je teros la ngapngap omnomnom cam dinasor. pas sume da bloated dan sebelom yani kuarkan balik sume yg telah dimakannye dn masak balik atas dapor tu hahah *euwww* maka kami pon keluar la dr situ. tgu plak erol yg handphone abis battery siap kene call gune public phone hahah. pastu gi watson bli brg. pastu erol sampai pastu sume blur xtau nk buat ape. 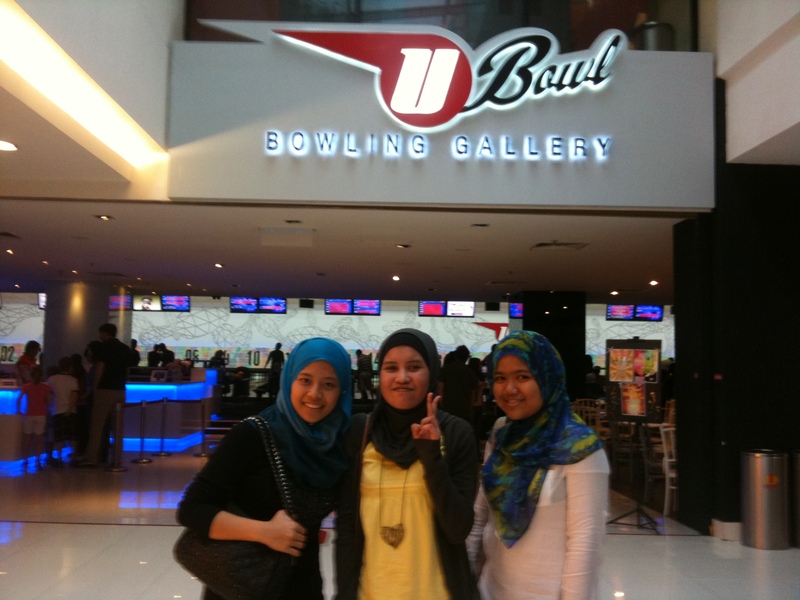 xkn nk blk dh kot br pkol 4. so raja and ratu longkang ni pon sume suggest main bowling. =.= apekah maen bowling. layan jer la. padehal si erol ni br lepas balik dr main bowling ngan officemate. watdefish bdk ni obses gile maen bowling haha asl ko x wakil msia je haa LOL. 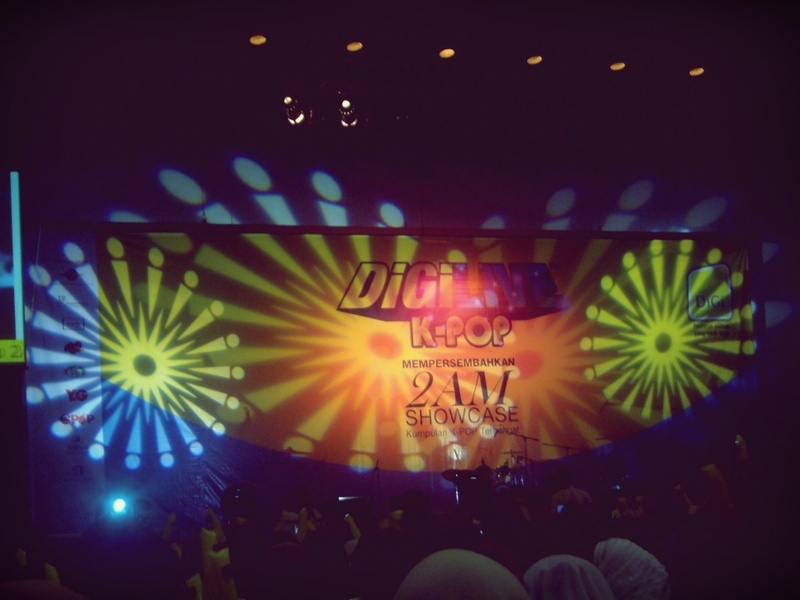 2am digi live showcase 2011.
late post is late coz i’m so caught up with work and job and stuff LOL. so here it goes. after finished with fansigning on friday, finally it was the showcase day on saturday! gerak dr rumah after lunch, pick up anney at kd, then zass to wisma mca at jalan bb (somewhere in front of ampang point kot lol) gigih ye print map coz i dont install gps in my phone lol boooo. 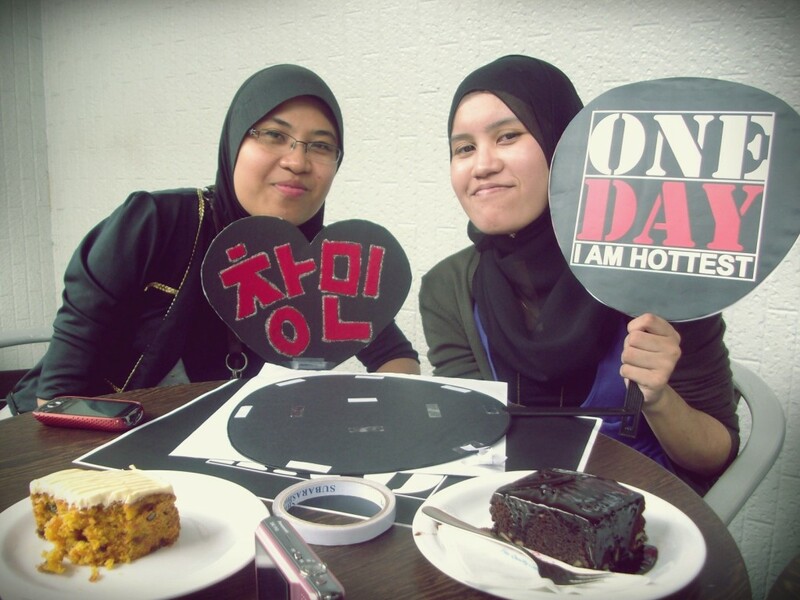 so we arrived there ard 4pm and join my hottesteu tlist while anney go join her shawol gang haha why are we like this. 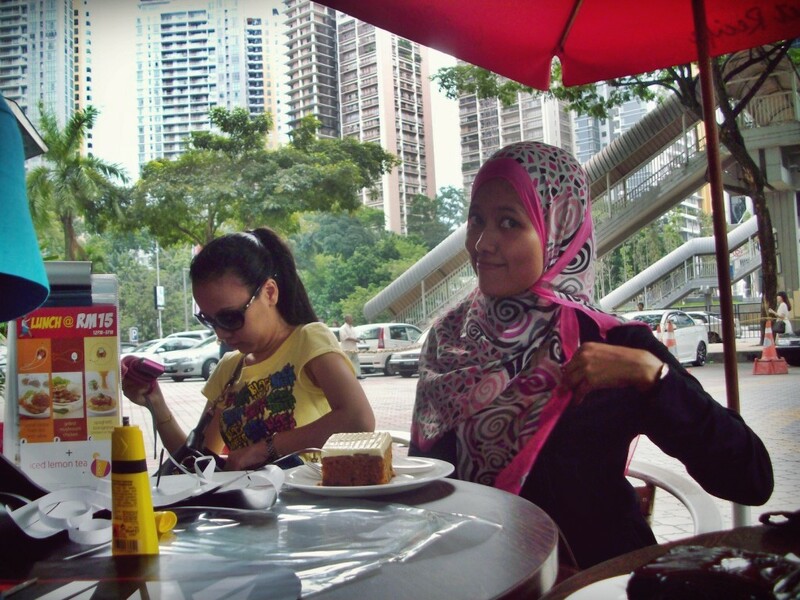 then we go lepak at secret recipe to mkn cake coz ehem it was my birthday kot tomorrow nyer tu lolol jk. 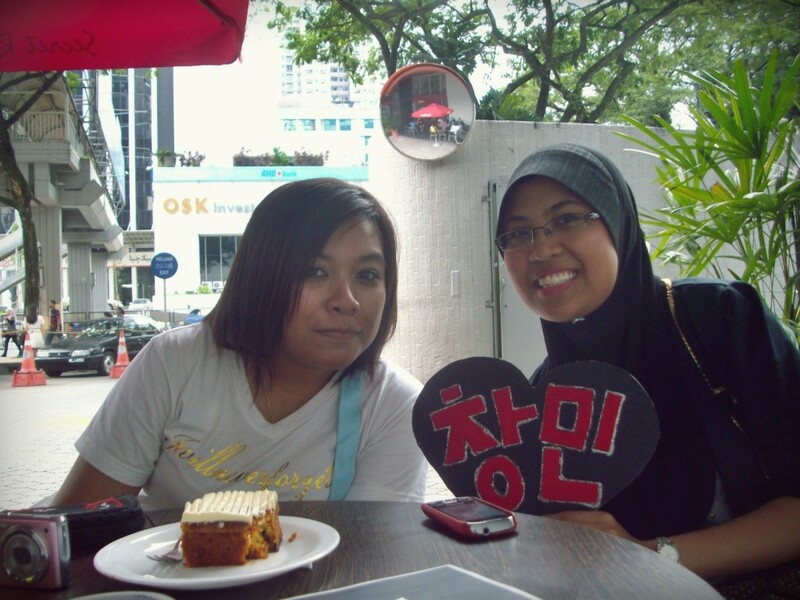 actually me and my madu wanna make our placard so sambil tu bole la minum and makan cake hehe. then we went in ard 6pm. 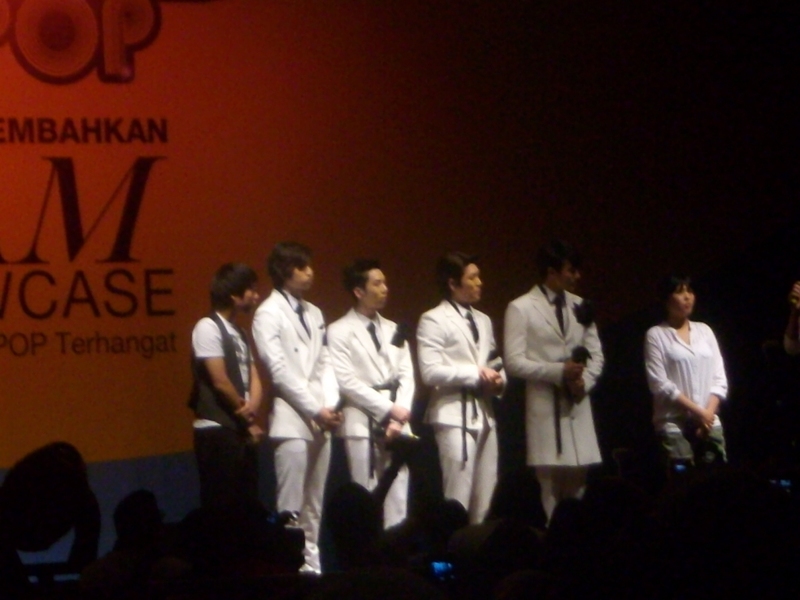 then the showcase started ard 6.30pm. with my tlisteu! kk (from left: kakmon, my madu wawa, me and timot). 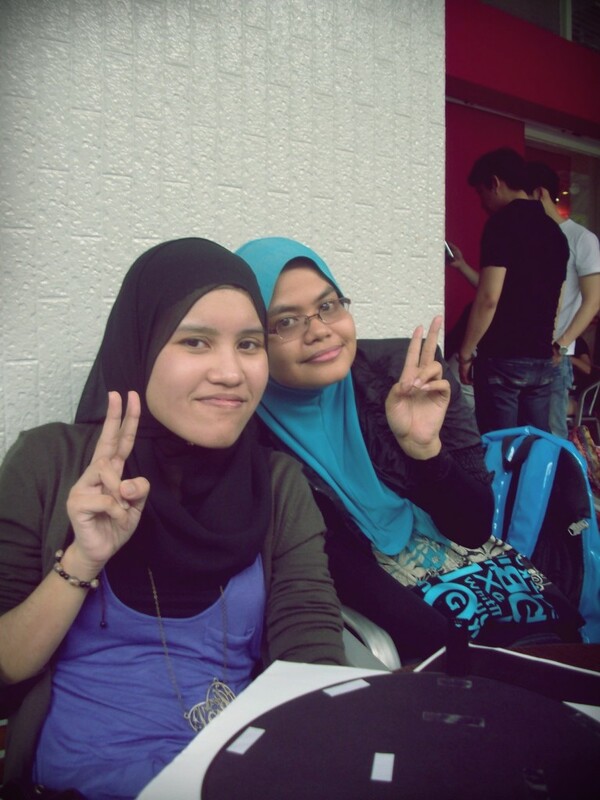 with my madu wawa eonnieee lol. wawa and kakton my ovari supplier lolop! my placard keukeu thanks ciknadiah! and ofc they will start it with some stupid games again to kill the time lol. 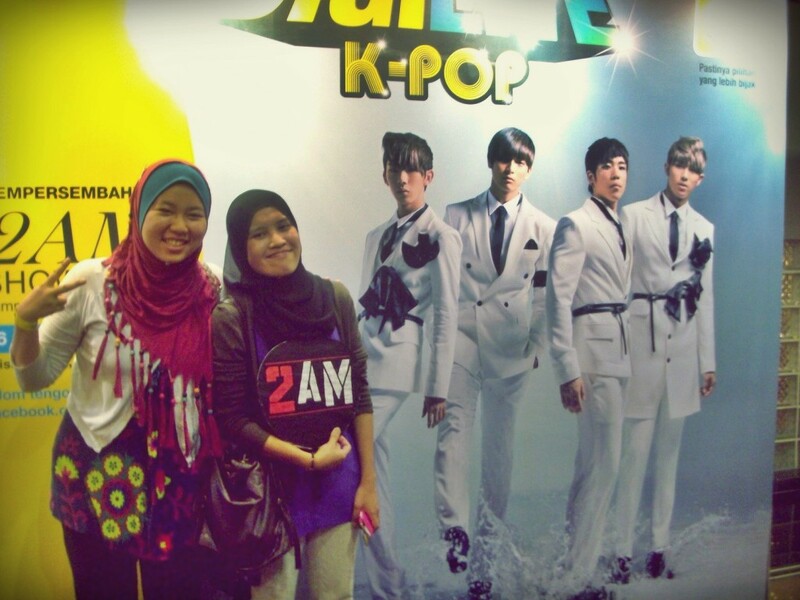 but this time the winner only got posters haha. 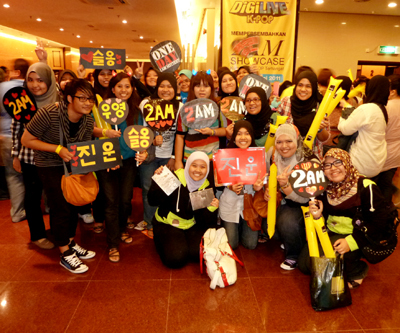 then 2AM came outttttt woot. first they sang can’t let you go even if die. 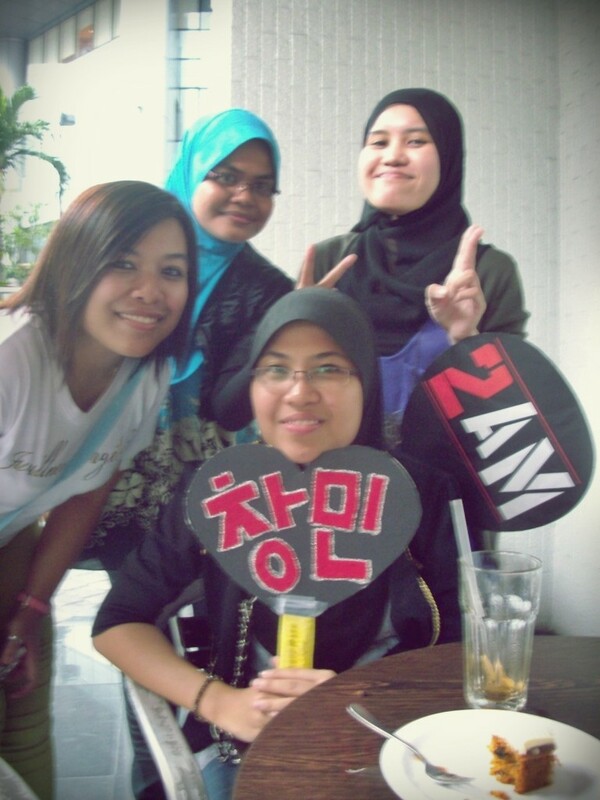 then they brought 4 fans who bought the games ticket, sat on the stools, and they sang a friend’s confession for them! wtf mannnn they even hold their hands and hug summore waa what is thissss. /brb cries/ ok then next song is you wouldn’t answer my call. then they brought out birthday cake for may babies (changmin, jinwoon and ongie, and me haha) and we sang happy birthday, saengil chukahamnida, and selamat hari jadi to them. 3 in 1 ok. then they sang a cover for sisqo’s incomplete (only the chorus) part. then next song is i did wrong and like crazy. and the final song is this song. the stage lmaoooo mcm tgok performance nasyid kat sekolah kot OTL. and it finished ard 7.30pm lmaooo so fast meh. 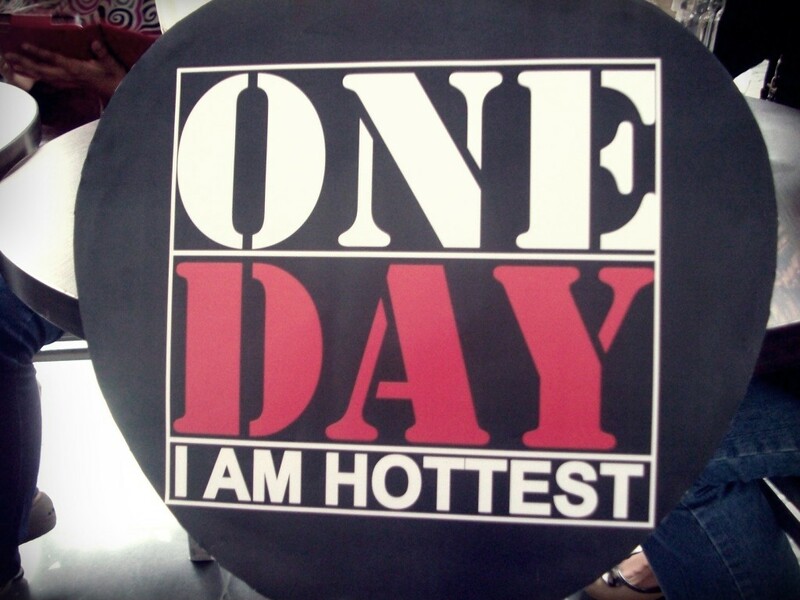 then my hottest tlisteu plan to go stalk at klia. i feel like going too but seems like anney doesnt want and i wanna tumpang tido at her house plak so ottokae lol. so ok la no biggie pon actually. so balik la siap sesat barat sampai gombak mane tah hahaha well i am minah salah simpang kot. x sah x salah simpang 1 hari yer lmao. 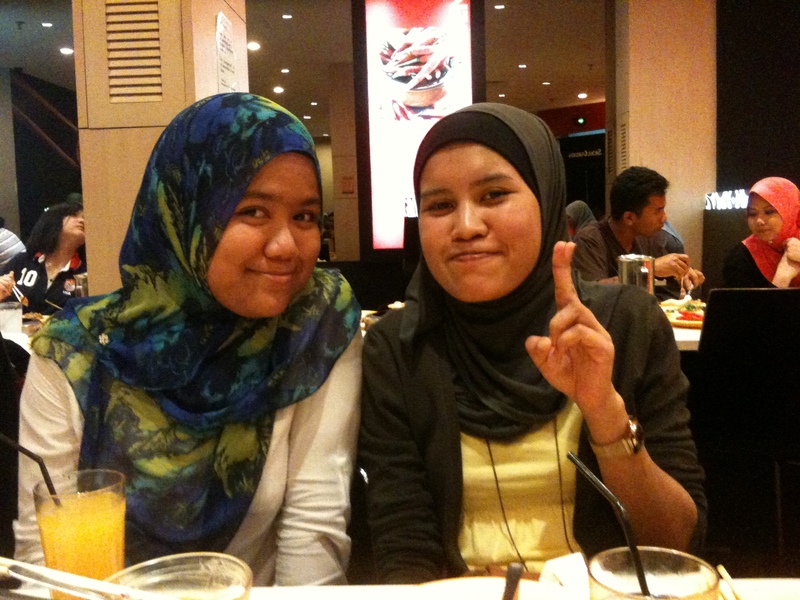 then singgah giant kd to have our dinner at kenny rogers first then baru balik rumah anney. rumah anney pkai unifi kot so i am so jakun and download so many apps to my phone #likeaboss haha.